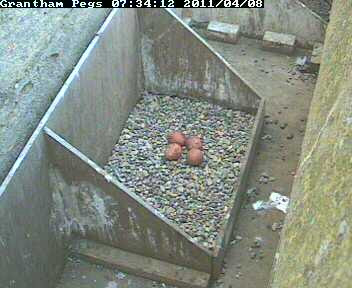 It was nice to wake up this morning and see four eggs at half past seven. The fourth would have been laid much earlier than this. Did anyone see it?